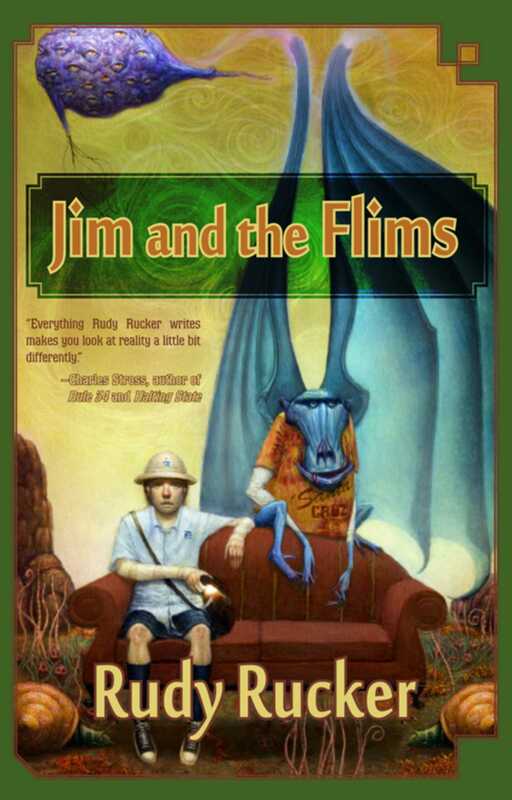 Jim and the Flims is a novel set in Santa Cruz, CA... and the afterlife. Acclaimed cyberpunk/singularity author Rudy Rucker explores themes of death and destruction, in the wry, quirky style he is famous for. Jim Oster ruptures the membrane between our world and afterworld (AKA, The Flimsy), creating a two-way tunnel between them. Jim’s wife Val is killed in the process, and Jim finds himself battling his personal grief, and an invasion of the Flims. The process of battling the invading Flims leads him to the center of the afterworld, where the ghost of his wife just might be. Can Jim save earth with the help of a posse of Santa Cruz punks, and at the same time bring his wife back to life?